I will be the first to admit that Valentines is all about the sugar in our house. 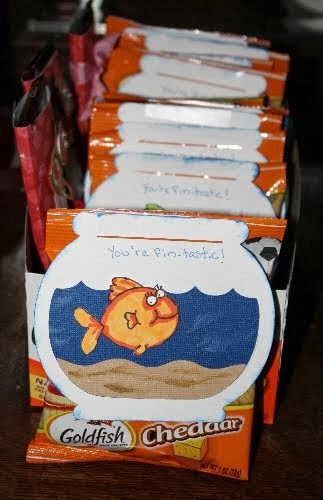 This year my youngest daughter has a sweet little girl in her class that has diabetes and I want to make sure to give her something that she will be able to enjoy. 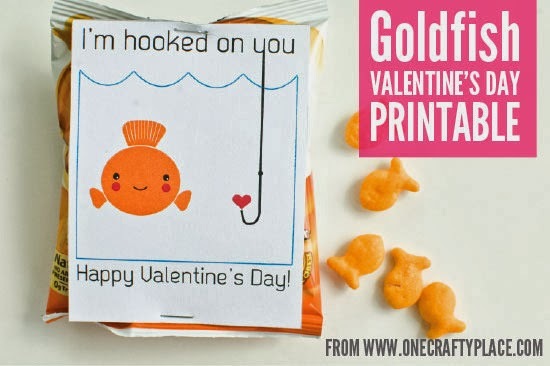 I stumbled across a lot of cute goldfish cracker valentine ideas, like this cute I'm Hooked on you Valentine printable from One Crafty Place, so I thought I would pass them along in case you wanted to limit the amount of sugar you are passing out on Valentine's Day! 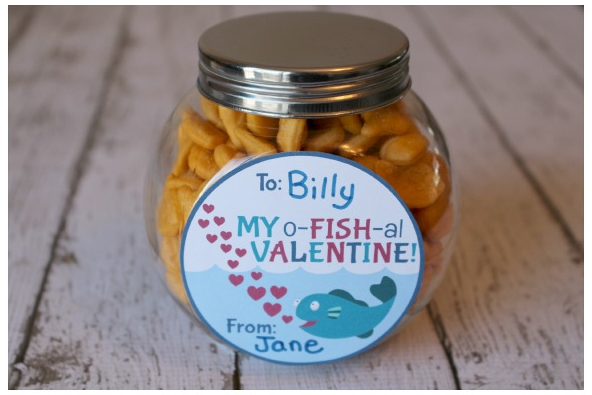 Of course, if you loves these valentine ideas and don't want to give up the sugar, you can use Swedish Fish or gummy fish with these valentines. 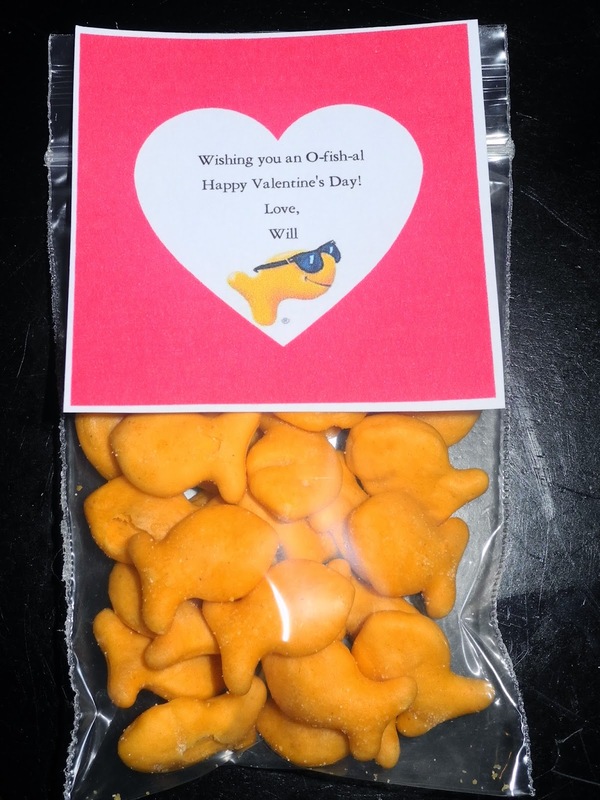 o-fish-ally adorable! 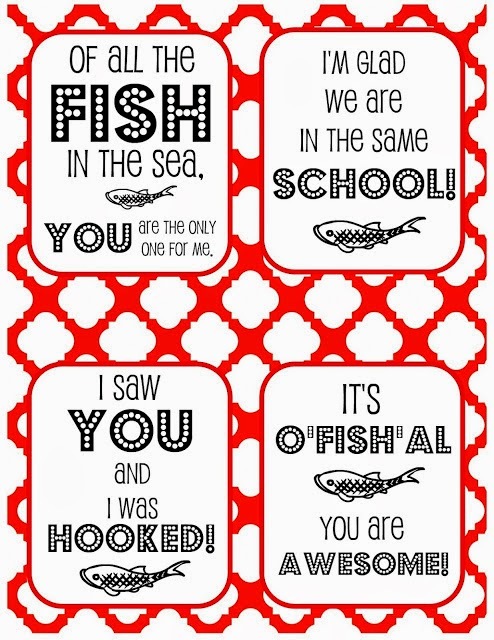 I am going to use these this year for sure!! love it! Such cute ideas! 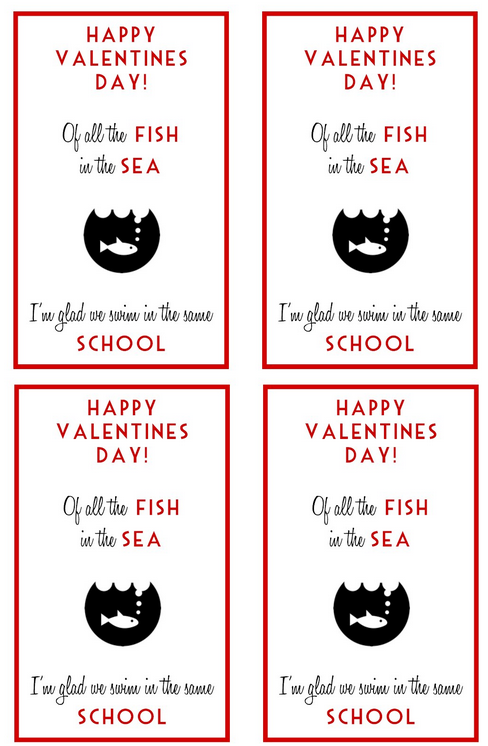 Pinning it to my Valentine's Day board!